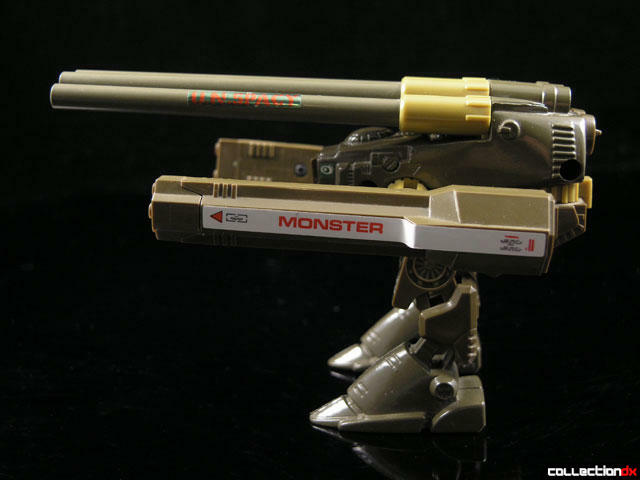 This is the original Destroid Monster toy, made by Takatoku Toys in 1983. 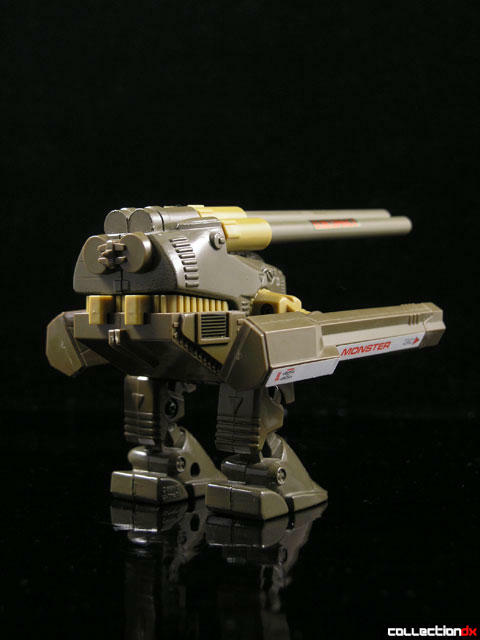 This toy was later released in the US by Matchbox in association with Bandai. This later release was under the ROBOTECH banner, and was painted a solid green color. 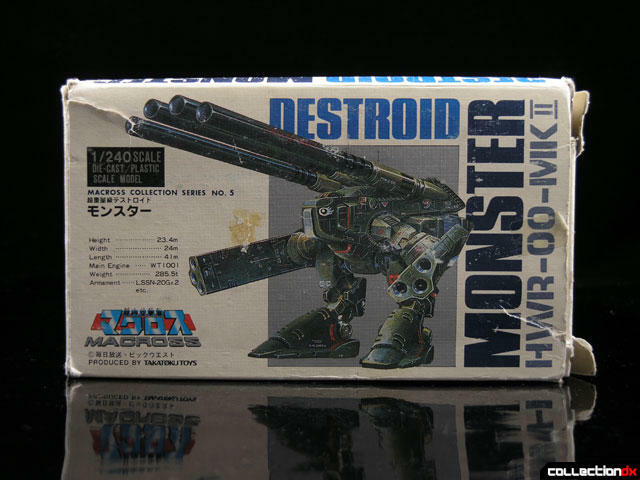 The Destroid Monster comes from the series Super Dimension Fortress Macross. It was the largest assault mecha created by the Earth forces. 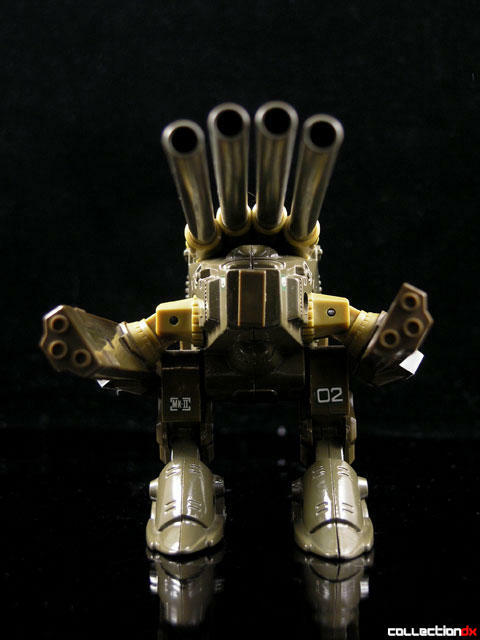 Meant as a mobile siege cannon, the Destroid monster is 22.5 meters or 75 feet tall. Compare that to the valkyrie’s 12.7 meters or 42 feet, and you can see that the Destroid Monster is one HUGE mecha – almost twice as tall as a Valkyrie! The toy is a good hunk of metal, featuring diecast feet and body. The arms and cannons are plastic. Each arm can swivel and move up and down. The top barrels do not move but the whole section is removable. 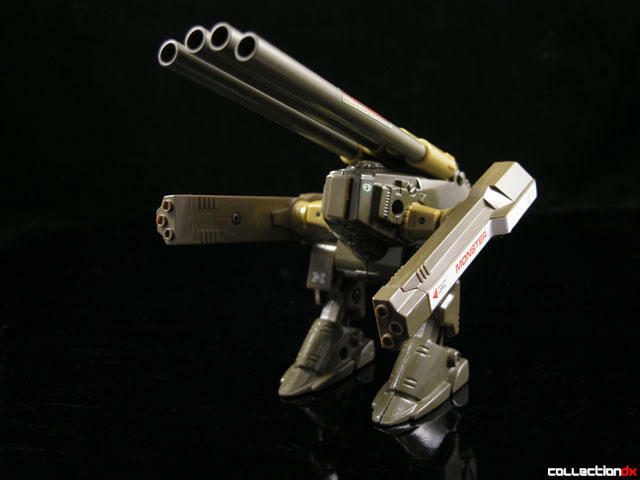 According to Robotech.com, the barrels were only good for about 30 shells and then were removed and replaced with a new set. Perhaps this is why they are removable? There is also a plastic block on the underside of the rear that slides backwards; I don’t know what the reason is for this. The toy comes packed in a Styrofoam tray inside of the typically cool Takatoku box. Inside are instructions and a sticker sheet. The Destroid Monster is notorious for having fragile hip joints. Most loose specimens tend to have the legs broken off. 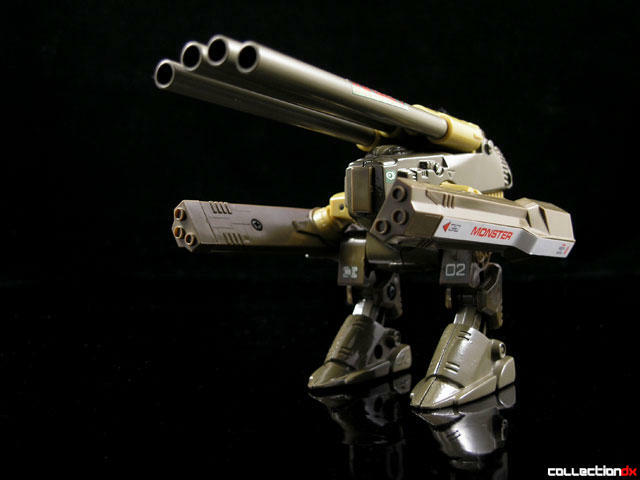 This is a very cool mech, and no Macross / Robotech collection is complete without it.